The best placement for your type of speakers determines the sound quality that you receive. If you place your speakers wrongly then you are likely to receive poor quality sound. Proper speaker placement might be confusing at first. 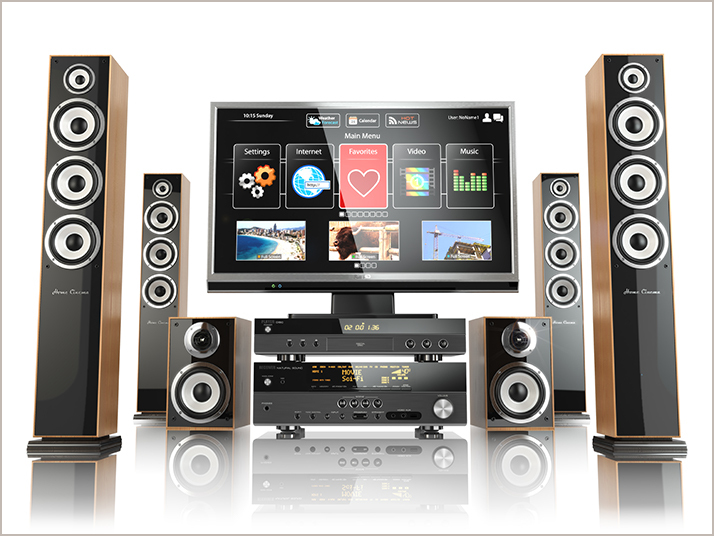 However, once you learn the best positions for your speakers, you will be able to enjoy the highest quality sound. There are three common types of speakers including direct, bipolar and dipolar speakers. Moreover, the different types of speakers require different placement techniques. Direct radiating or monopole speakers are the conventional sound systems consisting of one lobe firing radiation forwards. The best placement for monopole speakers depends on the sound system that you have. For a 5.1 surround system, the front and center speakers should be directly in front of you while the rear surround speakers should be 110 degrees from the screen. If you are facing the screen directly, the angle to your immediate left or right is 90 degrees. To achieve 110 degrees, you will have to move the speakers slightly behind you. As the term suggests, bipole speakers consist of two lobes pointed in diverse directions radiating forwards and backwards in equal measure and phase. The lobes pull in air and push out air at the same time. When it comes to placement of bipole speakers, they work the same way as direct speakers. You can place bipolar speakers as front channel speakers or rear speakers. Dipole speakers are similar to bipole speakers but in this case, they do not radiate simultaneously like bipole speakers. The best placement for Dipole speakers is 90 degrees from the screen directly to your left and right. The speakers face each other creating a null zone whereby sound emanating from the speakers cancels each other thus producing a diffuse ambient sound.